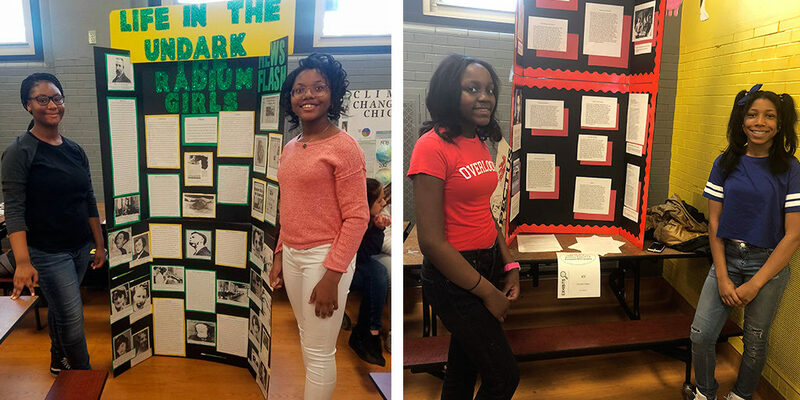 As the end of the school year draws near, Alain Locke students are making us proud by recognizing the contributions of past generations to American history. Seventh-graders Michelle, Nylah, D’Shanti and Tiona brought home “Red Ribbon” awards from the Illinois History Day competition. The annual event is designed to promote the study of local and state history. This entry was posted in General News, In The News on May 11, 2018 by Mark Bloom. On April 27, Alain Locke 7th graders enjoyed a visit from a special guest speaker—and Alain Locke graduate—who is working to change the landscape for black women in the entertainment industry. This entry was posted in General News, In The News on May 2, 2018 by Mark Bloom.